Billet, in-line housing with -10 AN ports and hi-flow 100-micron (coarse) cleanable, stainless steel element. Red, type II bright dipanodized. Recommended before fuel pump. 5'' long X 2'' diameter. 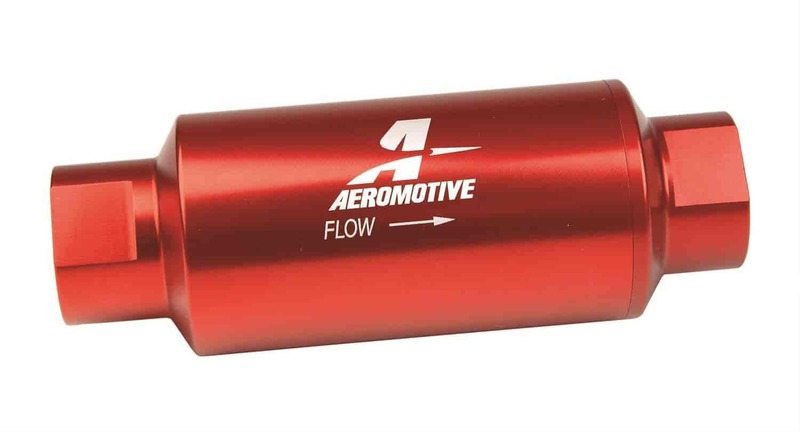 Flows 2,000 lb/hr with a pressure drop of less than 0.5 PSI. 12304 is rated 5.0 out of 5 by 1.